The Google Pixel and Pixel XL that was released few months ago are two of the best premium Android phones (if not the best) you can buy right now. But there has been some reports online about an issue with the speakers, especially at high volumes. According to a Reddit user Mark "badmark" the Pixel and Pixel XL exhibits audio distortion when the volume is turned to their highest levels. He made this known in a video he posted on the platform to get people aware. The Perfect Piano app is virtually unusable once the volume is turned up the highest. As you drag your fingers along the keys, the keys sound more like static with lots of audio popping. Some Analysts online were able to replicate the same audio problem on a Pixel and two separate Pixel XLs. According to them, the issue remained even when the phones were updated from Android 7.1 to 7.1.1. The same tests on a OnePlus 3T running Android 6.1 Marshmallow, and an iPhone 7 running iOS 10.2 using the same app, however, had no such audio distortions. 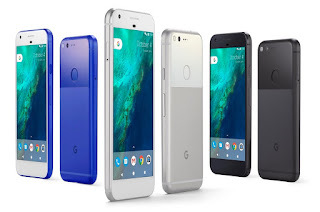 A post from a Pixel XL owner, Ryan Lestage, on Google's official Pixel user community forum, sometime in October, suggests the audio issues extend to all audio including "talk radio or music played in Chrome, Facebook, TuneIn Radio, YouTube, etc." Given the different user reports, it's unclear exactly what's causing the speaker problems. When Google was contacted on the issue the statement allegedly received from them was that, "We're aware of an issue affecting audio quality for some apps on Pixel and we're actively working on a fix." Are you using the Google Pixel or Pixel XL phone, tell us your experience when the volume is tuned to the highest.